I’ve been thinking recently about some people in my life as I compare their situation to others I met around town during the Annapolis shows. And there is something about it that has been buzzing in my head for the last several days. My wife’s brother got divorced a couple of years ago, and they have two wonderful little kids, an eight-year-old boy and a five-year-old girl. These young souls are so full of energy and open to new things, yet they spend a lot of time being shuffled back and forth between his house and that of his ex. His ex-wife is a decade younger, and I suspect the demands of motherhood weren’t quite what she expected. What is most distressing is that these young ones, so perfectly primed to see and learn and develop, are apt to be stuck in daycare after school, or sitting in a car being transferred from one parent to the other, switching houses every other week with visitation every other day it seems. It is sad but quite common in today’s world, young parents juggling work and home, parenting responsibilities, and the millennial need for self-gratification and experience. No matter what else is going on, they must have personal time for yoga and fitness, or some other personal activity. The kids are often at the back end of this scheduling tightrope. This is quite a contrast when I consider people like Emily, the sailingthebakery.com blogger, who lives with her husband and young daughter on a Saga 43 sailboat, working hard to become full-time cruisers. She was working the show during move-in day when I helped a Minnesota couple bring their new Hallberg-Rassy sailboat to the HR spaces. When she saw the hailing port of Duluth, MN, Emily began a conversation with the owners, and within seconds they realized they knew each other as they were based in the same marina. What a small world! And then there is Behan Gifford of the Sailing Totem adventure, living and cruising on a Stevens 47 as a family of five. This PNW family have spent years cruising the world, and I've seen Behan at both Annapolis and Miami shows the last couple of years. She wrote a popular book on cruising with kids, and is a well known champion of the family cruising lifestyle. The family crew of Totem have been making the news recently, a family who successfully continue to sail the world. There are many in my generation, such as Pam Wall, an experienced sailor and lecturer, who went around the world with her young family years ago. And there were countless others who somehow balanced a family with the adventure of sailing. Remember the Westsail the World days back in the late '60s? How many children grew up during that cruising celebration? Things are a little different today, but I know of several families on Nordhavns that are growing together as they explore the world, with all the comforts of home and the ability to roam. Pam Wall and her family celebrating Christmas in 1990 aboard KANDARIK in South Africa. I was at our booth at the Miami show one year where I met a couple moving from sail to the Dark Side. They went around the world on their sailboat, and their two young children gained so much from the experience that it was hard for them to be “normal.” The son grew up to become a Navy SEAL. After a couple of years he decided he wanted to go to medical school, which he accomplished through a Navy program. Their daughter, another confident achiever, was so comfortable running big boats offshore, she became a professional captain in the Merchant Marine. A career that kept her at sea was perfect. We had an article recently in our yacht club publication about a family from South Africa who spent six months exploring the U.S. East Coast on a sailboat before deciding to settle in Annapolis. While they did not make the crossing from South Africa across the Atlantic together, they fully embraced the cruising lifestyle as they cruised together once stateside. A family who lives aboard and cruises as a team is quite a departure from the lives of people like my brother-in-law and his family. His children live on a balance beam between two houses, and the unavoidable disruption of their lives stands in sharp contrast to young children learning to handle the dinghy in close proximity to parent instructors, members of a family who depend on each other. A cruising family learns to be tight, get along, and stay safe together. I'm sure such a notion would seem foreign to those whose fallback plan is after school daycare and a constant shuffling from place to place, activity to activity. And when the kids have ready access to tablets and smartphones, they are often left to amuse themselves rather than engage in family activities altogether. In a cruising family, there is never a question of where do I belong? Social skill development also is a fast track process with the cruising kids I’ve met. How many times have you seen kids off cruising boats meet other kids on a beach somewhere? The ability to meet new people and make new friends without hesitation or the need for helicopter parents standing over them, urging the youngsters to step out of their comfort zone. “I’m shy” is not in the vocabulary of any cruising kids I’ve ever encountered. I wonder if my brother-in-law and his ex had lived on a boat if they might have grown and developed together, becoming a team instead of two adults out of sync on different paths. His young wife has a good heart but no worldly experience. She always struck me as an empty canvas who portrait of life experiences had yet to be painted. Who knows how they might have matured if they shared night watches and the joint responsibility of a safe landfall. When one’s safety depends very much on one’s partner. Instead, it got hard so let’s quit. Yup, it is quite a contrast. But as their uncle, I will do my part to get these kids out into the world, on the water, and engaged on levels not possible from an iPad or in front of a TV. 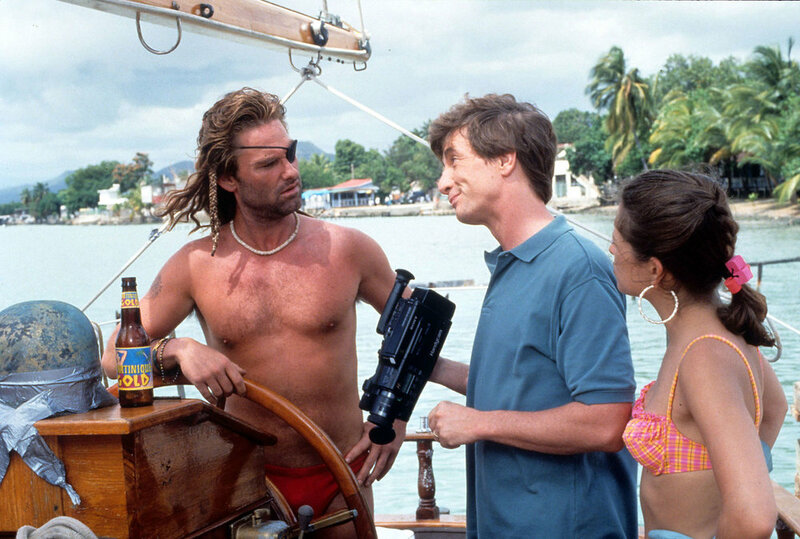 This holiday will be time for them to see Captain Ron. It’s a start. Have a great week and Happy Thanksgiving!